Mungo National Park provides a unique insight into the ancient landscape of Australia and the history of the Australian people. The landscape of Australia is ever changing and with Mungo National Park, those changes can be dated as far back as 32 million years ago. It was around this time that the ocean flooded the Murrary Darling Basin, turning south-western NSW into an inland sea. After 25 million years, the ocean retreated but water levels in the area continued to fluctuate as surrounding river systems flooded. By 150,000 years ago, Lake Mungo and the surrounding Willandra Lakes had been established. Around 60,000 years ago, the established lakes filled, marking a period of climate stability and biological abundance. Lake Mungo was 15 metres deep, teeming with fish and mussels. Water fowl foraged on the lake whilst mammals grazed or hunted around the lake shores. Then, humans arrived. Human artefacts have been found at Mungo and date back as far as 45,000 years ago. But the most important discoveries were made in the 1960’s and 1970’s when both male and female remains were found at the lake. Mungo Lady and Mungo Man are 42,000 years old and hold an important place in arechelogical history. 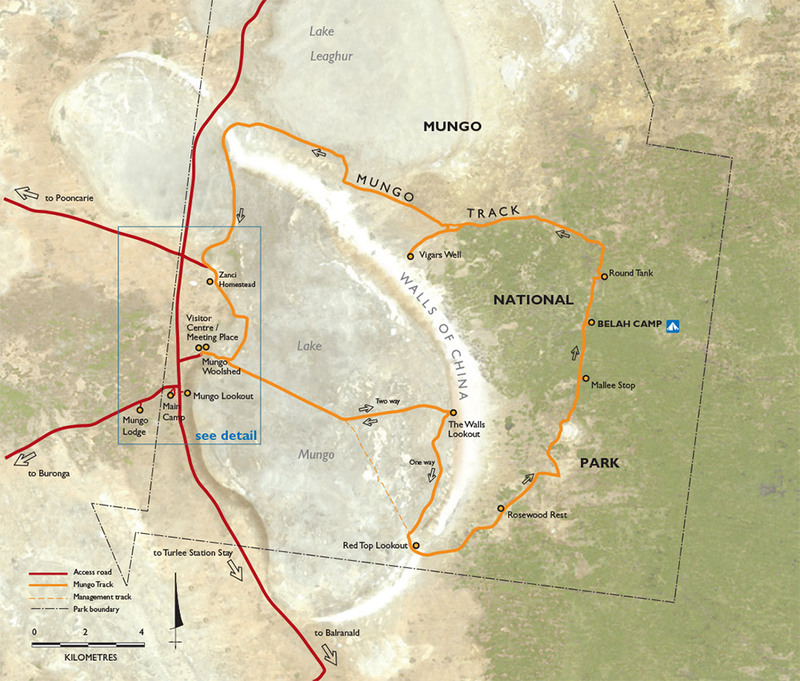 Evidence of human life at Mungo began to slowly decrease 22,000 years ago. This was as the world entered the last ice age, resulting in the Australian outback becoming cool, dry and windy. The lakes began to dry out and it is believed that the Indigenous people moved north, as the food sources had diminished. The wind deposited salt from the lakes on the land and further layers of sand were deposited. Around 18,000 years ago, the ice age finished and there was a return of vegetation to the area. Approximately 10,000 years ago when the ice age was well and truly over, a relatively stable, semi-arid climate settles into the area. The landscape ceases to change and with no disruptions from earth quakes or volcanoes, the unique lunar landscape that is Mungo today is established. The landscape that had remained otherwise untouched for 10,000 years became quite distrupted as Europen settlement began. In the 1840’s, Europeans came with flocks of sheep and cattle, droving them accross the land and for over 150 years major and often disruptive changes in the landscape occurred. 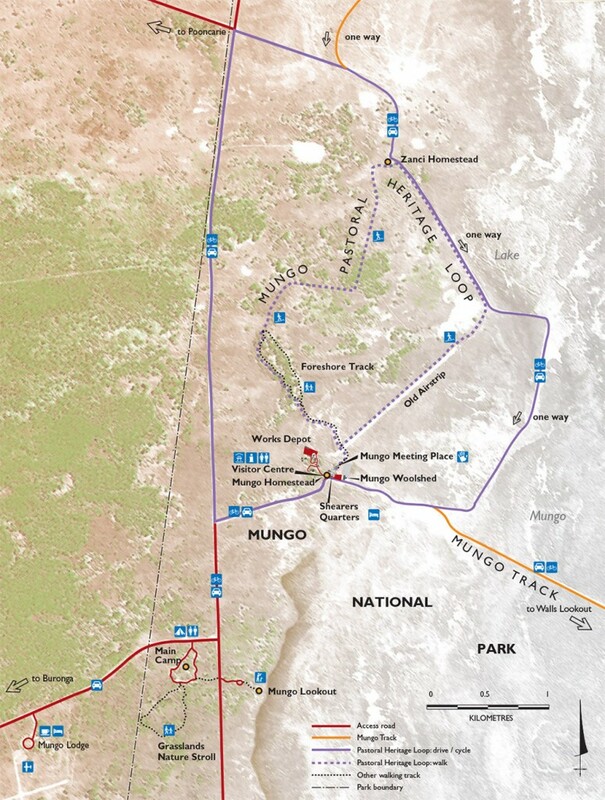 During this time, Gol Gol and Zanci stations were established and the Mungo Woolshed was built by Chinese labourers, who appreciated the unique Mungo landscape and named the lunette the ‘Walls of China‘. 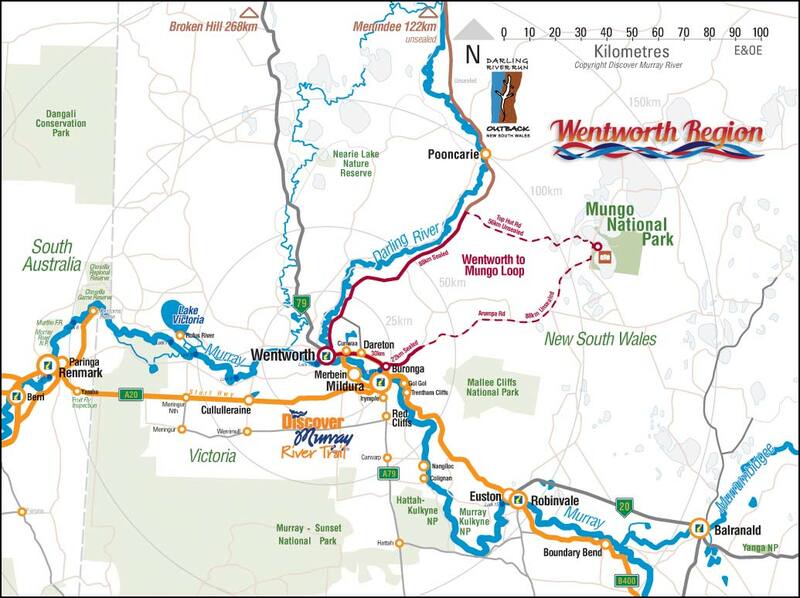 Visit Discover Murray River for more information on Mungo National Park.